If you are planning to start a new business either as a sole trader or employing other people, then you should seek timely taxation advice before the end of the financial year. This will help you plan your taxes, as when it is time to submit your tax return, you may find yourself owing more money in taxes than you expected or budgeted for. Speak to a Tax Expert about Mississippi Tax Debt Relief. Contact us now! What Happens When You Don’t Pay Federal & Mississippi State Tax? Once you have received tax advice you will know whether your business should submit taxes on an annual or quarterly basis. If you do not submit your taxes at the relevant juncture then the IRS may impose a penalty, even if it is not at the end of the financial year. Therefore, you need to be clear when to submit your taxes. Additionally, if you employ others in your business, you will need to ensure you submit payroll taxes or be penalized. Penalties and interest payments alone for not filing your tax return can be as much as 10% of the total outstanding tax bill; this includes added interest. Furthermore, if the IRS deem that your business has intentionally tried to commit fraud by submitting inaccurate data, your business could be subjected to a fine of 50% of the outstanding tax bill. The first thing you should do is seek taxation advice from a reputable team of lawyers, such as Tax Defense Partners. This will ensure you have all the information you need to enable you to submit your tax forms on time. 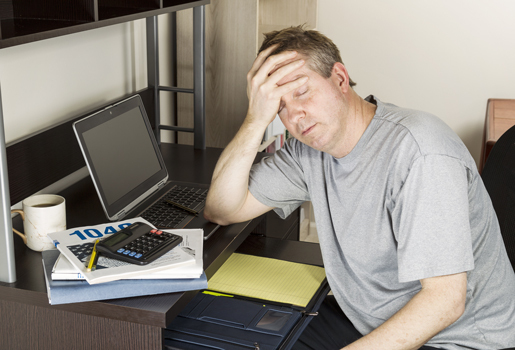 If you do find yourself in difficulty with unpaid taxes, then the lawyers can help you find a rapid solution. Does my business need to file a tax return if there were no sales in Mississippi? If you are registered in Mississippi and have a Sales Tax Permit, but most of your business has taken place online, then you will still need to file a tax return in Mississippi, regardless of whether any actual physical sales or services were provided in that state. This is zero-tax filing. Are there any discounts available from the Department of Revenue for filing on time? There is a small discount of 2% of revenue available in the state of Mississippi. Do I need to file a return if my business folds? Yes, you always need to have the correct figures at the close of business to avoid any potential penalties. Hire The Best Tax Debt Defense Team in Mississippi Today! If you are running a new business, there are a lot of pitfalls to overcome. If you are having a problem understanding the tax and federal tax law, Tax Defense Partners can help. A quick phone call will enable you to make a free no obligation appointment and you will soon have a clear understanding of your responsibilities regarding tax. If you have already received a notice from the IRS regarding a failure to provide a tax return or unpaid taxes, get in touch with us urgently so we can help you resolve this as quickly as possible. Call Tax Defense Partners at 800-600-4300 and discover all the tax help you need.